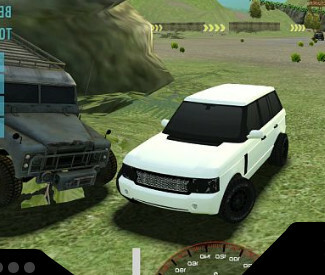 Xtreme Offroad Car Racing 4x4 Xtreme Offroad Racing 4x4 invites you an original challenge in 3D games. You don’t have the option of changing or upgrading your vehicle. You need to do your best with what you have got. The good thing is that tracks are large. Crashing during turns is a long shot. You can turn easily if you set your speed and angle well. The most dangerous things are obstacles that were thrown on your track. You may prefer driving with either Arrow keys or WASD.